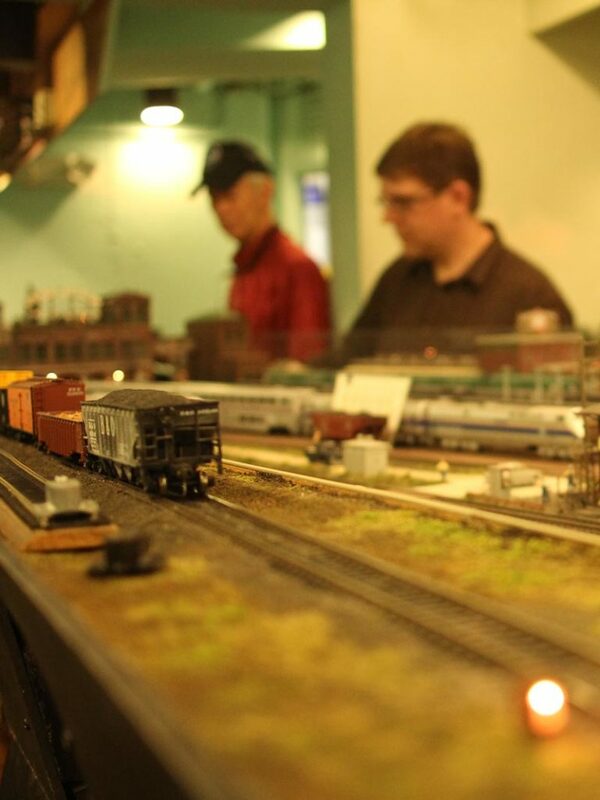 The HO Gauge Model Train is operated by the DuPage Society of Model Engineers on the third and fifth Saturday of each month. The model features a detailed layout that covers 2,000 feet of track and highlights some of DuPage County’s railroads and landmarks in a landscape that blends fact and fantasy. †Explorer’s Club Members receive extended time with the trains quarterly (March/June/September/December) — learn more about Explorer’s Club. See more upcoming Train Saturdays.